This pleasant cottage-style cabin is something we don’t see every day. The wood paneling on the walls creates an attractive, rustic aesthetic while the solid brick foundations earth the home nicely. 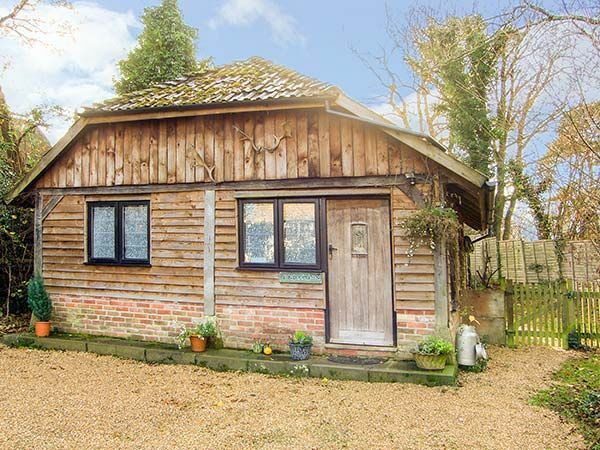 Known as Endymion, this charming cabin is located near Ringwood in Hampshire, U.K., and has direct access to the New Forest National Park as soon as you step outside the front door. 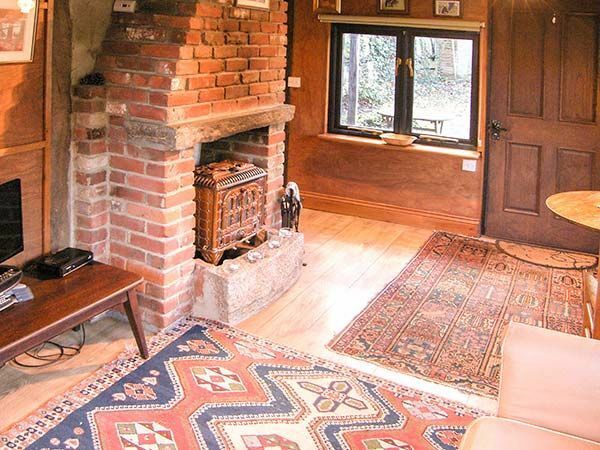 This quaint cabin is listed for vacation rental purposes on Sykes Cottages, offering an attractive rustic retreat which is less than 100 miles from the center of London. 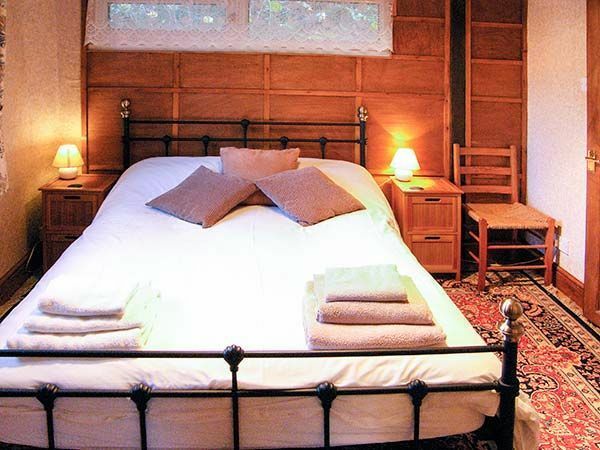 With one bedroom and one full bathroom, the cabin is the perfect escape from the city or for those who wish to explore the English countryside. Shall we have a look inside? The simple, one-bedroom floor plan has enough space to comfortably house two adults. 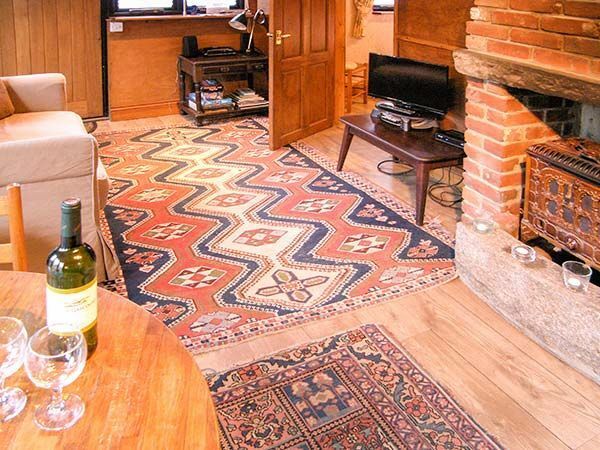 The main living area is easily heated by a gorgeous antique wood-burning fire. The house has wood paneling lining the walls and hardwoods on the floors. 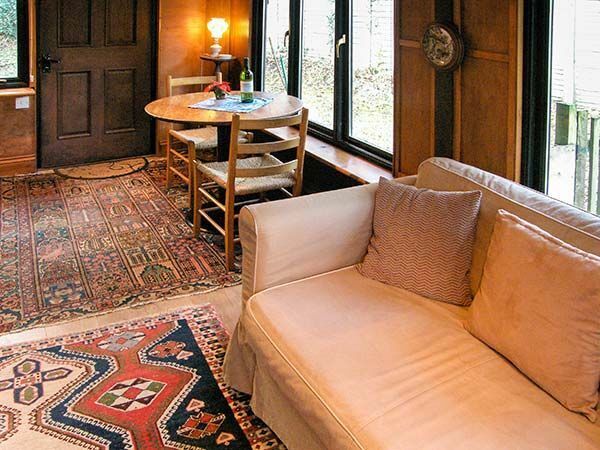 To make the cabin even cozier, the home is decorated with attractive old-fashioned rugs. A comfortable sofa is a good place to relax at the end of a long day hiking through the forest. The living room has great natural light due to the large windows which line the walls. 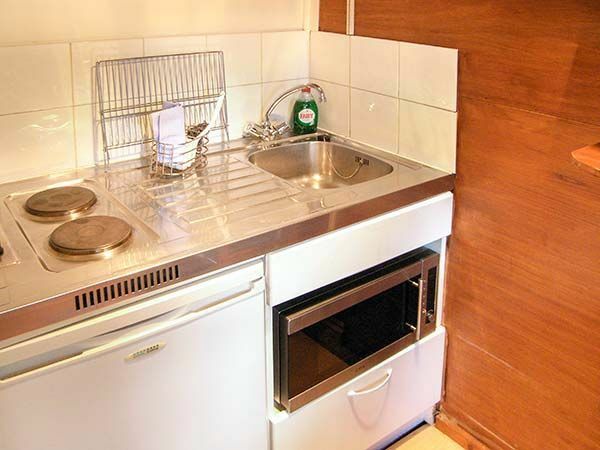 A simple kitchen offers everything a pair of adults need to complement their vacation; including a refrigerator, a microwave, and a stove top. The bedroom is generously spaced to easily fit a large bed. The wrought iron frame is an attractive feature which is in keep with the rustic setting. 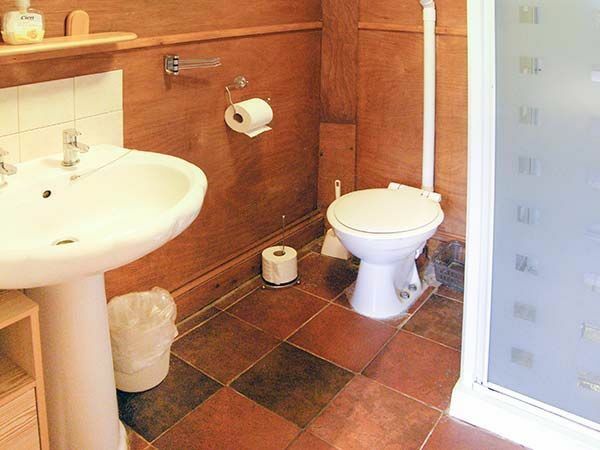 The clean bathroom is attached to the bedroom. It has a shower and enough space to comfortably dry off. What a cute little cottage? Did you enjoy the tour of this cabin? Let us know by commenting on Facebook. Don’t forget to SHARE with your friends!